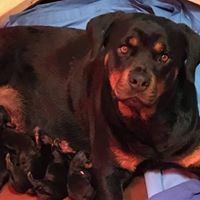 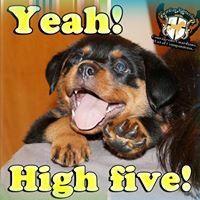 We are a Code of Ethics small Rottweiler breeder located in Northern Alabama an hour north of Birmingham, and an hour southeast of Huntsville. 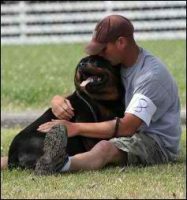 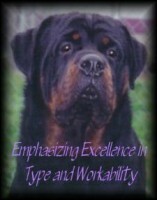 We have selectively chosen our dogs from World Class European/German Rottweiler bloodlines. 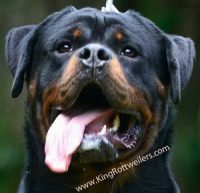 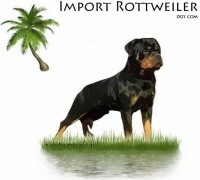 Breeding to better the breed and provide Rottweilers with correct conformation, huge Rottweiler heads, bone and temperaments capable of SHOWING, WORKING, and amazing COMPANIONS!